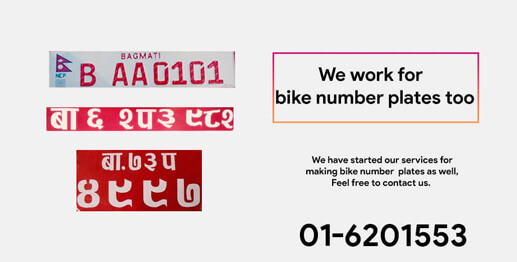 Online number plate painting and design service in Kathmandu is now available in Nepal. Our online bike servicing company, ThirdWheel is always trying to increase its customer satisfaction with customer`s highly demanded service. As there is growing demand of our customers about number plate service, we, recently, came up with our new additional service of number plates.We hope that this service would be helpful for our customers. If you have any query about the pricing rate and service, please feel free to contact us at 01-6201553. Note: This service is available in your doorstep.